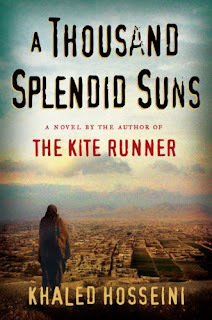 I know I am reading it a bit late, compared to many others, but reading A Thousand Splendid Suns by Khalid Hossein, is really an experience worth sharing. I am more than half-way through it, and there have already been quite a few places, where I had to just pause and take a deep breath. I feel its an exceptionally well-crafted work of art. The lucidity of the description of rural Afghanistan will appeal to you just as much as the grim portrayal of emotional upheavals that the characters face. The loves and hates, the joys and struggles, the sacrifices and betrayals of ordinary people among the changing political scenes of the Afghanistan, are amazingly informative and thought-provokingly entertaining. I still wonder how he was able to write like women. Right from within their souls. If I was moved by his earlier book, The Kiterunner, I am now deeply touched by this one. And I strongly recommend it to all who enjoy a good reading. Watch this space. There could be more coming up as I finish the book.